One very useful command line tool I use is tail. It’s a little Unix utility command that is found on almost any *nix system, including macOS and of course Linux. 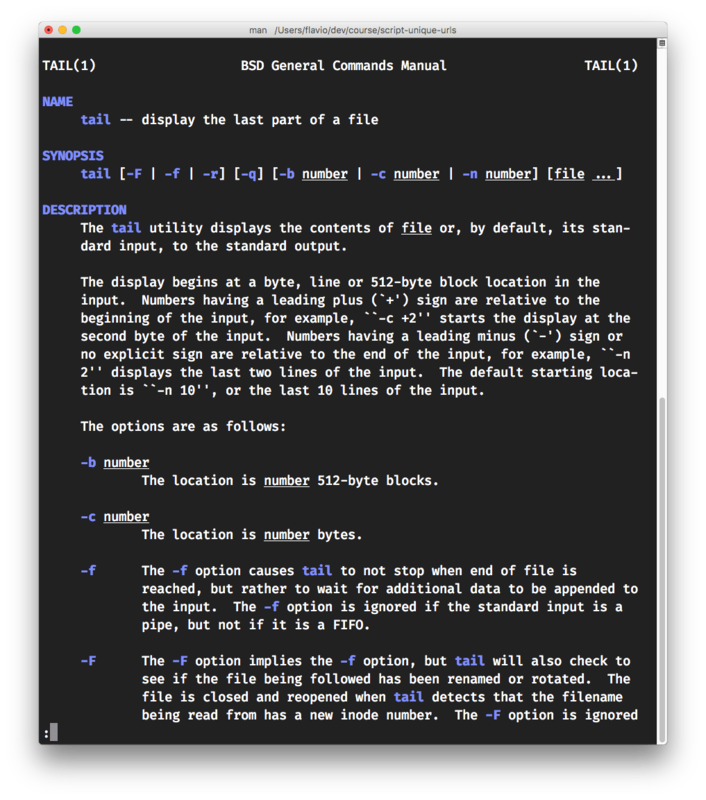 Here’s the man page for tail. It says the command displays the last part of a file. This starts the command and it just waits until there’s something new appended to the file.